RICHARD SOLOMON ARTISTS REPRESENTATIVE: Maria Corte Maidagan - Made in America! 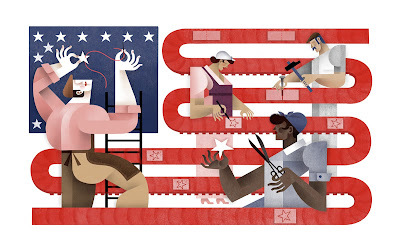 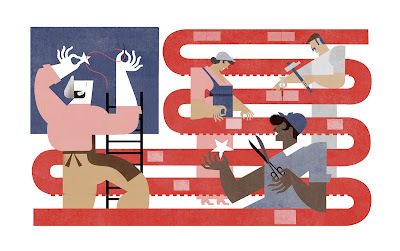 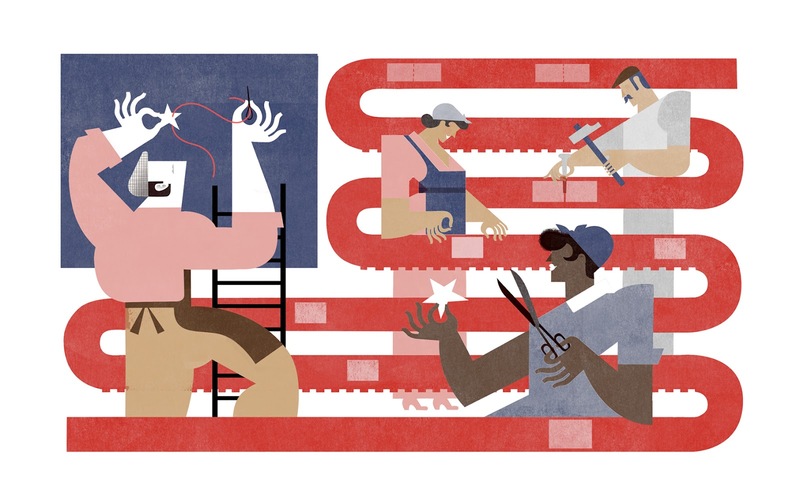 Art director Mark Tyner was blown away with the concept Maria Corte came up with for the Wall Street Journal's article about America going back to work. 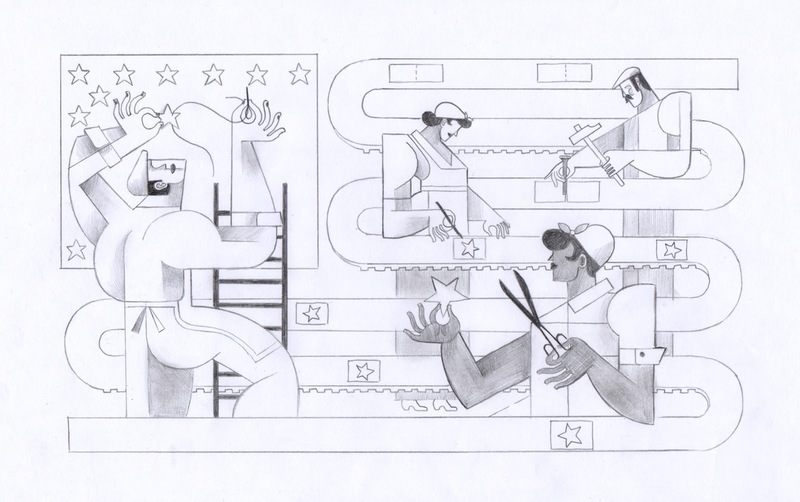 Maria shared her sketch to finish "assembly line" illustration, a very smart work of art. 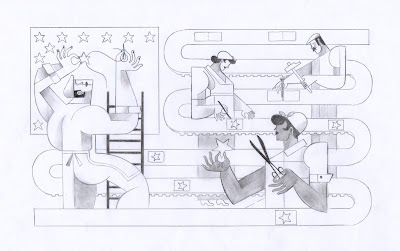 You can read the full article which was featured in the Sunday edition here.